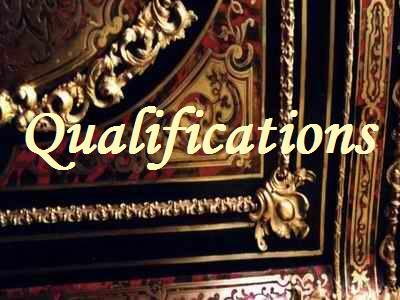 I am a qualified restorer with 20 years experience, working to a professional and high standard, with an informed and sympathetic approach. Offering a complete conservation-restoration service, specialising in the finer period antique furniture, but also work on modern furniture and a wide variety of related items requiring the skills of master craftsman. Located on the Hertfordshire Essex border. 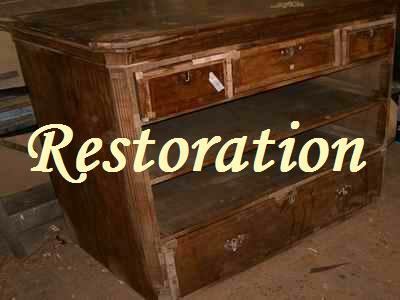 • Conservation-Restoration - furniture of all periods. • French polishing and traditional finishes. • Cabinet making. Veneer work, turning, and carving. • Full restoration of longcase clocks and barometers. • Gilding and frame repairs. Picture & Mirror frames. • Desk leathers, tooling, cabinet lining etc. • Metalwork repairs and supply of authentic brassware. I have experience with a very large range of objects and in many related skills, so am happy to consider working on any item where my skills can apply, as long as I am confident of meeting suitable standards. Visit strictly by appointment only. Please bare in mind my services tend to be in high demand and restoration work by nature takes time, I cannot take on every piece of work offered to me and there is often a waiting list: So your patience will be appreciated both in correspondence and for your restoration projects.